When I was growing up, Gainesville was just a place we drove through to get to Tallahassee. We never really stopped there. I didn’t even set foot on UF’s campus until freshman year of college when I went to visit my friend Amy. Since then, however, I’ve had occasion to visit Gainesville to see Amy, Artie’s sister, and my friend Beth many times. A few weeks ago I went to meet Beth for coffee (and to say good-bye since she is moving to Illinois!) and she mentioned a new coffee shop in town called CYM Coffee Co.
CYM Coffee Co. was opened by one of the Sister Hazel band members. 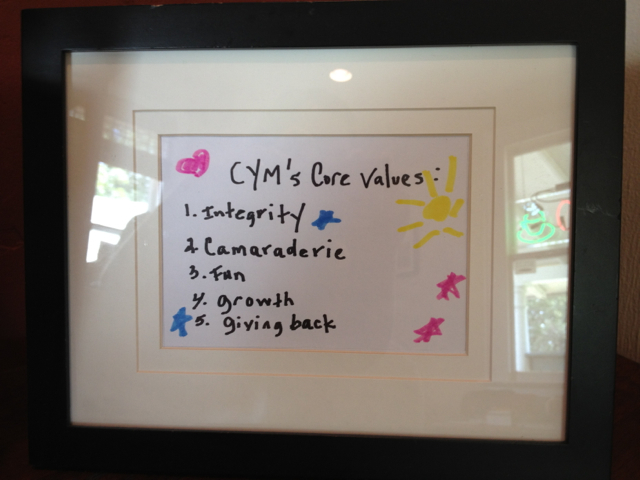 I love this framed picture in their shop of their core values. I can agree with all of those. 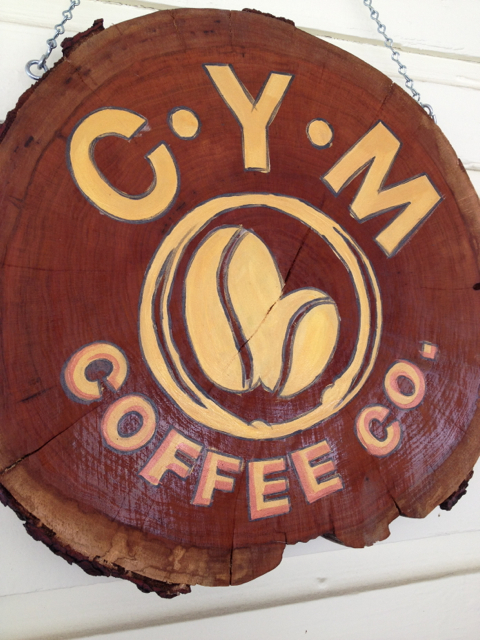 The staff at CYM is friendly and the coffee is really good. 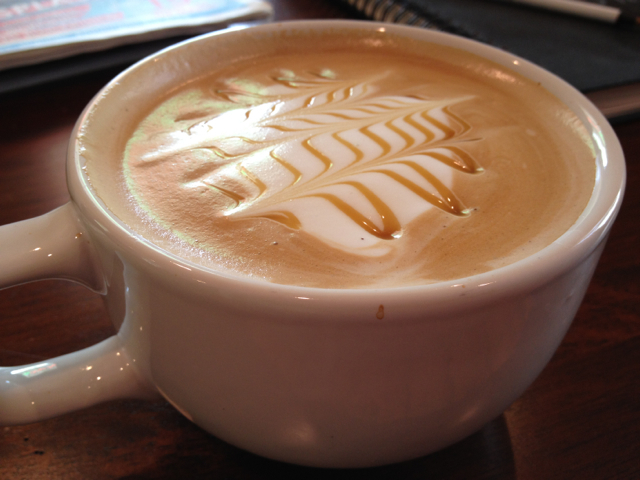 I don’t usually like lattes (too sweet) but the caramel latte at CYM was perfect – delicious and not too sweet. I’m especially a fan of the fun designs. 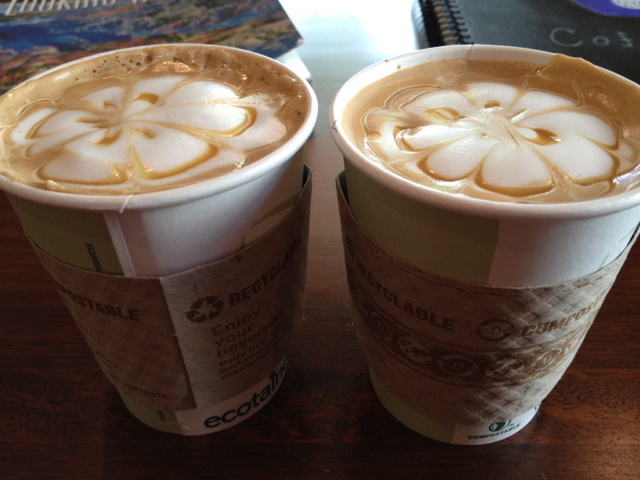 This is a picture of my caramel latte and Beth’s mint mocha. 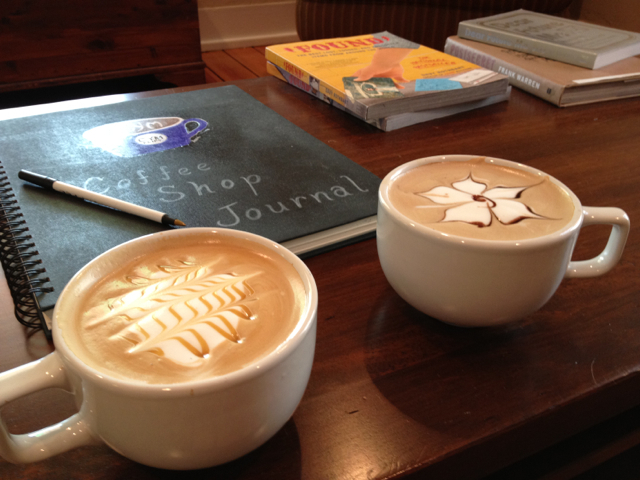 On a recent trip home, Artie and I stopped at CYM on the way to AND from Winter Haven for a little mid-trip pick-me-up. I tried the caramel latte and the vanilla latte. Both were really good and I might even like the vanilla one better. So now, whether I’m just passing through or stopping over in Gainesville, I have one more great place to get coffee. 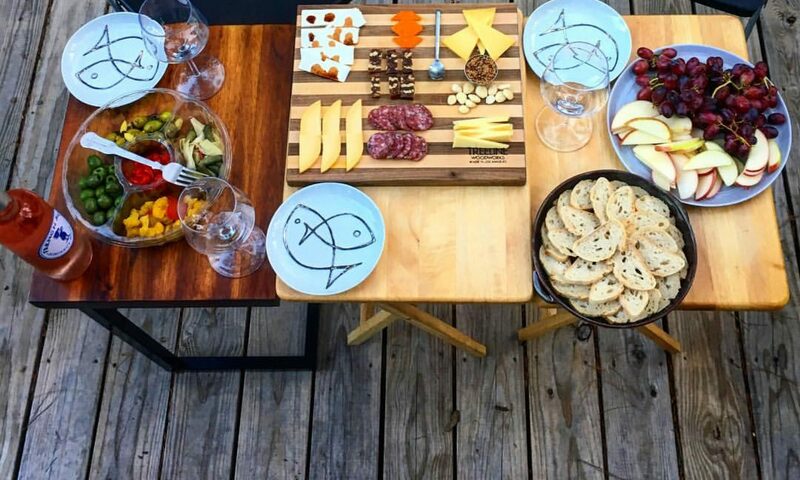 If you get a chance to stop by, I would highly recommend it.